Being in a positive marriage can have a huge impact on your life, it increases your sense of well-being and happiness and will nurture your emotional needs. Unfortunately, when marriages turn negative, it can be devastating, leaving us feeling isolated, betrayed, unhappy and angry. Marriage can often be challenging, particularly when there are different cultures, beliefs, opinions, and backgrounds involved. There is no rule book when it comes to a happy marriage and most of us have our ups and downs, doing the best we can to work as a team. 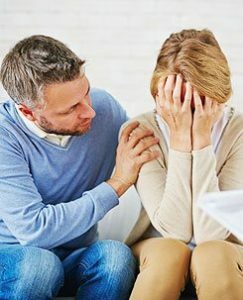 When a marriage starts to break down it happens in stages, knowing the stages will help you understand where you are and what can be done to fix it. If you start to see some patterns or negative changes in your partner this should be your first warning signals that something is not right. Is there a lack of open conversation ? Are you sleeping in separate rooms ? Is your home just a hotbed of tension ? Often small but regular marriage issues are symptoms of a bigger problem that you may not even be aware of. At first most of us try to take some of the blame for our partner’s behavior then we move into a stage when we try to find reasons, excuses, and justifications. As the saying for every action there is reaction it could be that we changed as well sometimes unknowingly and that could make our partner react. At this point, most of us are trying to find a way to fix things not always communicating this to our partner, almost like a silent fix hoping for the best. 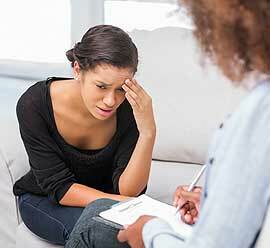 Once you get to this stage you find yourself questioning your sentiments and emotions towards your partner and most of the time communication breaks down. This is a dangerous path, as things start to fall apart and your soul starts to hurt, some of us hide the pain within ourselves others look desperately for a way out regardless of the costs. Regardless of what stage you are at there is always a solution for a positive outcome. Unfortunately, when you are inside the bubble you won’t be able to see it. Talking to Christine our gifted marriage counselor will help you understand the causes, the effects and you will get inside guidance on how to overcome your marriage issues. The longer you wait the harder will be to fix things, book a session today it will save your marriage.